As voters hover over their ballots, which are due February 21, the Best Foreign-Language Feature category presents a dilemma that’s unique to this year. Traditionally, many don’t vote in this category unless they’ve seen all the films. While the Academy sends links as well as screeners for all five nominees, it’s an honor system. The order has since been blocked by the courts, although Trump has said he will issue a new one. In the meantime, this mess has disrupted Oscar travel for many people. Taraneh Alidoosti, Iranian star of the “The Salesman,” tweeted in protest of the new policy, writing that “Trump’s visa ban for Iranians is racist” and that she would not be attending the Oscars. Now that the travel ban is blocked, many Muslim attendees are now getting visas to attend the Oscars after all. Flying to Los Angeles are Raed Saleh and Khaled Katib, members of the Syrian rescue squad featured in Netflix’s documentary short “The White Helmets,” as well as Iranian-born Bahar Pars, who stars in Swedish nominee “A Man Called Ove,” and Syrian Hala Kamil from documentary short “Watani: My Homeland,” among others. Farhadi is still not attending the Oscars, although he communicated with his four fellow foreign directors — Maren Ade of “Toni Erdmann,” Hannes Holm of “A Man Called Ove,” Martin Zandvliet of “Land of Mine” and Bentley Dean and Martin Butler of “Tanna” — before and after the Academy nominee lunch. They talked about how to make some kind of united statement on Oscar night. 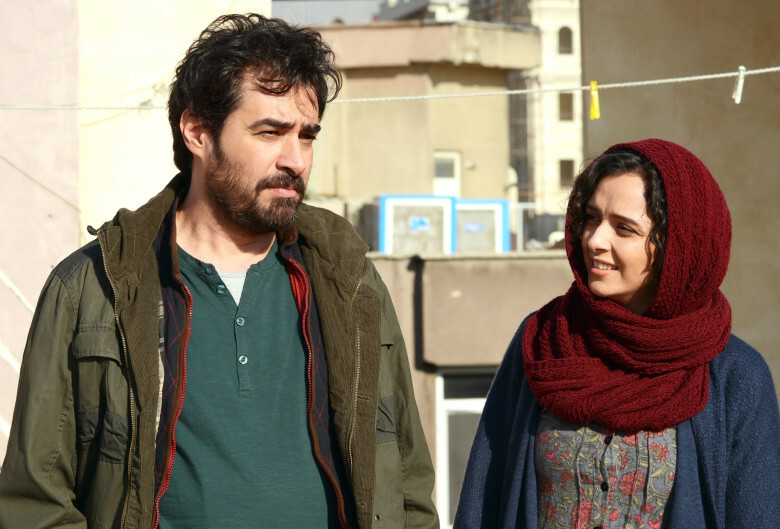 It’s hard to measure how far the tides of the times have moved toward Farhadi’s film, perhaps driving more people to watch it, and how much voters will be inspired to send a message to Trump. This happens every year. The zeitgeist is a powerful force, as Oscar votes often reflect how the Academy wants Hollywood to be viewed by the rest of the world. And this year is no exception.